Sorry about the unexpected absence from the blog. Unexpected things tend to come up unexpectedly! 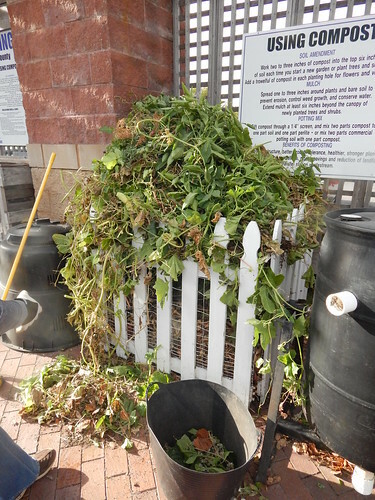 Earlier this week the Master Gardeners did a little bit of clean up and prep in the garden for the spring. They also planted a few things (rhubarb and horseradish). 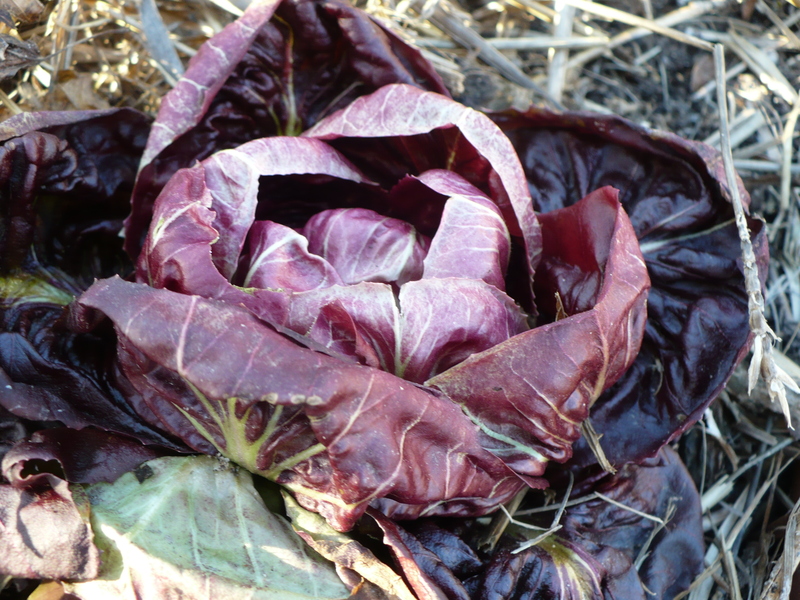 They pulled out all the radicchio that had gotten frozen to nothing over the winter, leaving the few survivors, like this one. I know you probably can’t tell what is what in this picture, but there are the very tips of what I believe is the rhubarb crown sending up shoots. It got planted in bed 9 rather than bed 10, for those of you that obsessively keep track of those things. (Oh, you mean it’s just me? Okay then.) 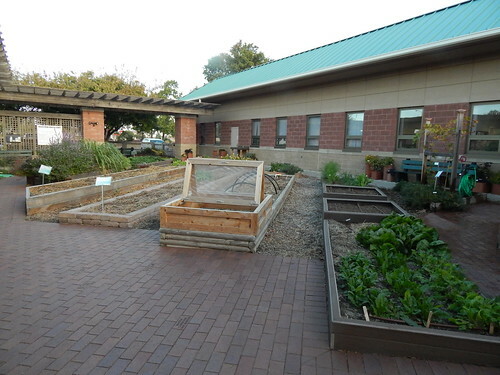 This is the raised bed that has the Raised Bed Soil Mix in it rather than the sand/compost blend in the other beds. The mix has some small pebbles in it, which makes identifying growth more tricky. 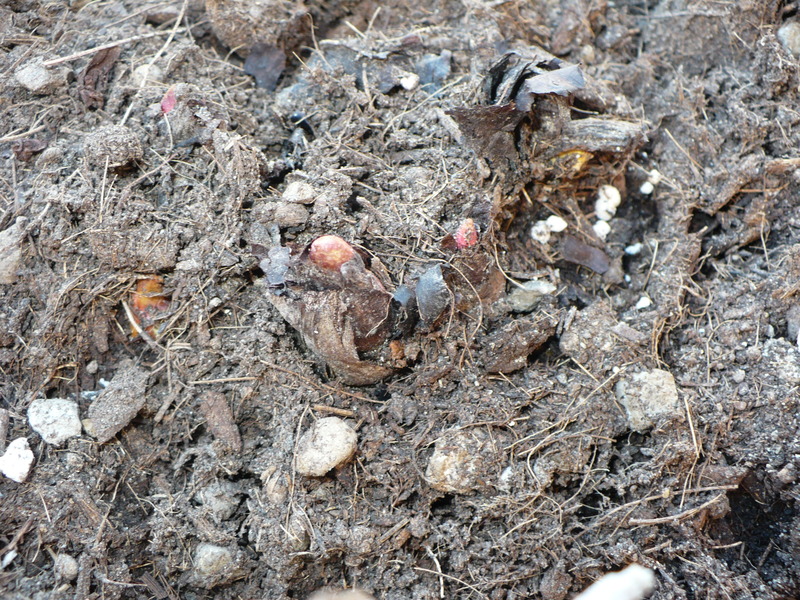 I’m pretty sure that the reddish-orange spots in the center are the beginnings of rhubarb shoots. 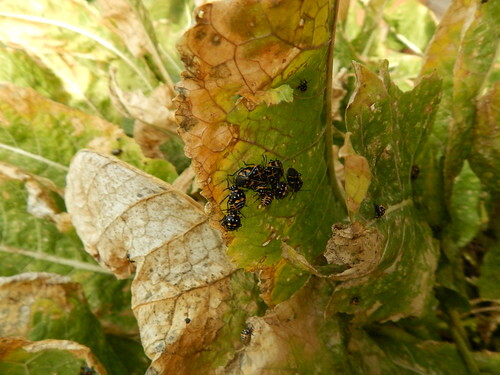 The horseradish plants are supposed to be in this bed too, but I didn’t see any evidence of them. 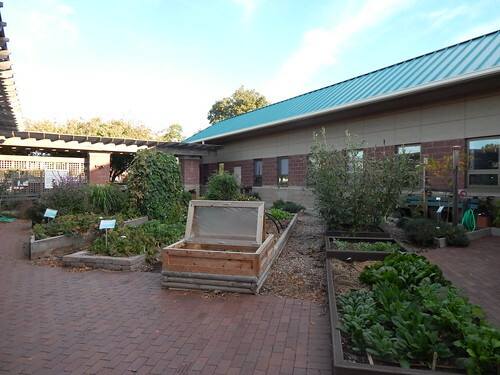 The perennial herb garden got a good trimming and clean up. A number of things hadn’t survived the winter, so those were removed. 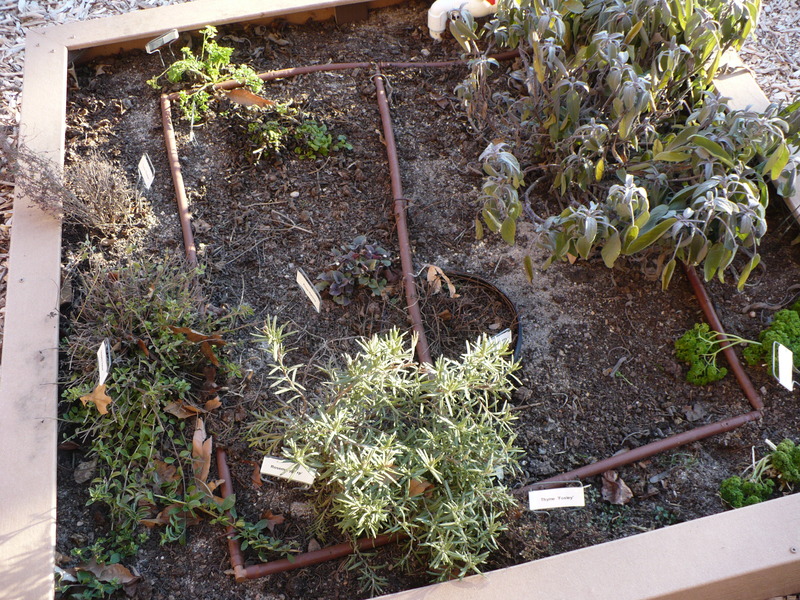 It looks like the sage, one of the rosemary plants, one of the thymes, and a couple other things survived. We’ll be replacing with different things later this spring. 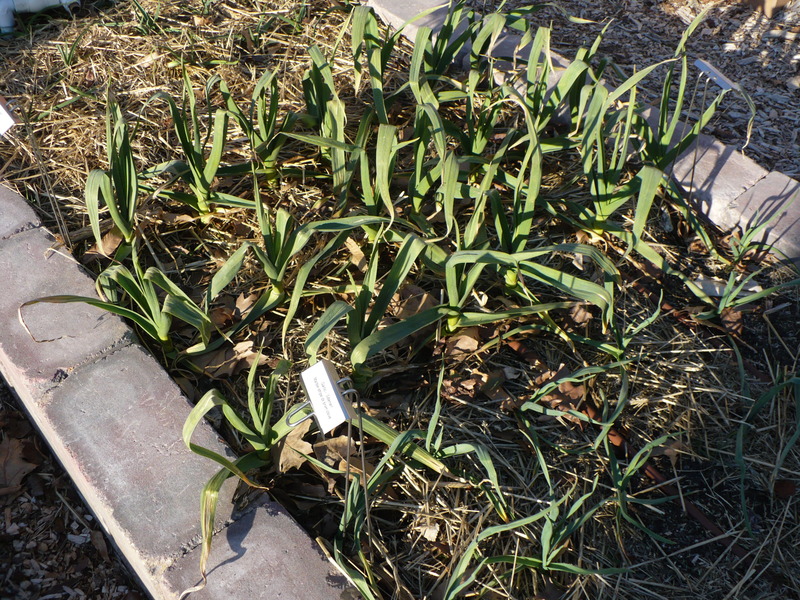 The garlic and shallots have continued to grow and stall with the changing weather. They should be off and growing pretty consistently from here on out. 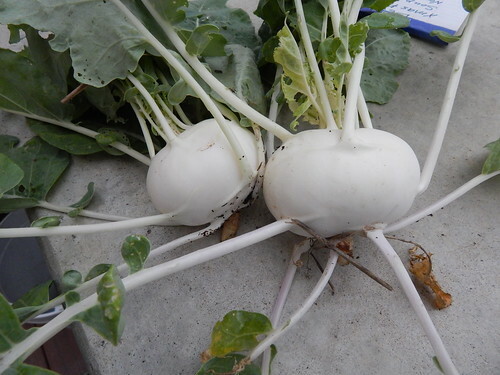 Hopefully by early April we will be able to look at each variety more in-depth to see how they survived the winter, how well they germinated, etc. The shallots are almost all looking great, and I’m really excited about those! 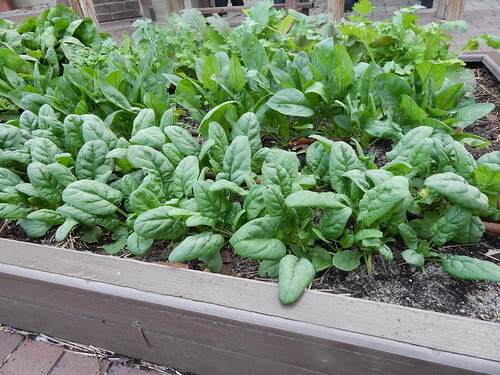 So they pulled all of the spinach out of the bed with the cold frame where it had survived all winter. It was starting to get a little old and the leaves were getting pointy and strong-flavored. 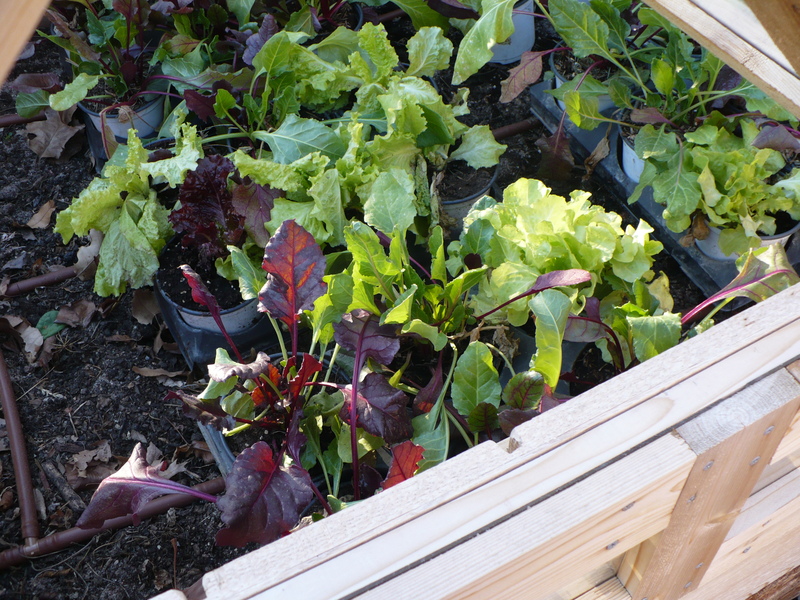 There’s some lettuces and Swiss Chard residing there right now waiting to be planted. Okay, so I just looked at the long-term forecast for Wichita and saw that they are predicting 84 DEGREES for tomorrow. I thought I was looking at the wrong forecast. Yes, I’ve been a bit out of it. Thankfully it goes back to more normal spring weather after that. 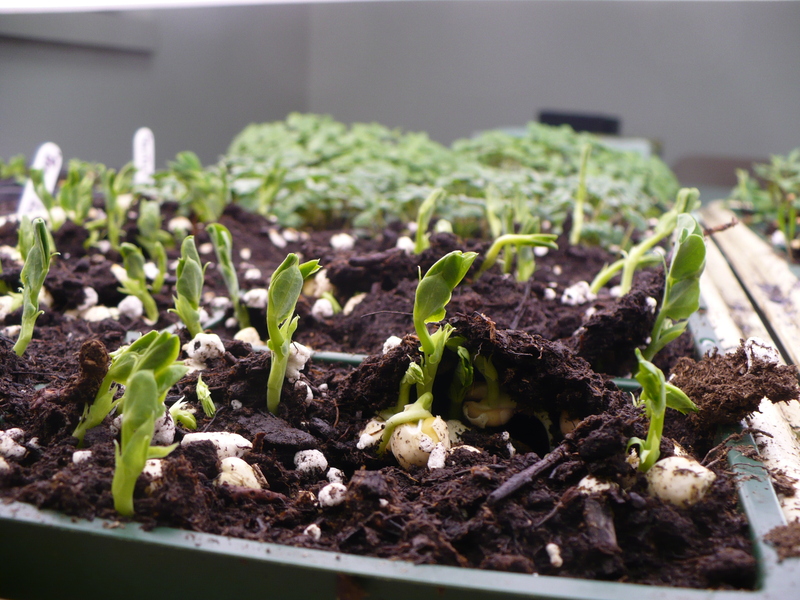 A look at what’s growing in my office after planting last week. Peas! Other things! 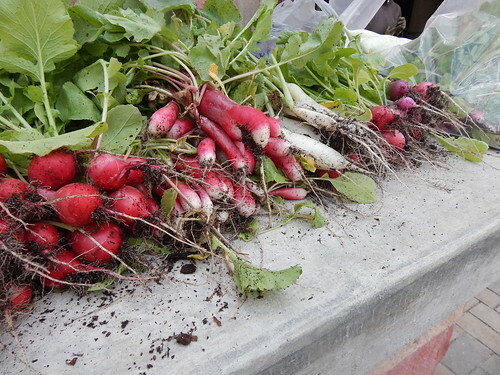 To find out what I’m up to, you’ll have to come to either the Grow Good Food Workshop next weekend (March 23rd) or the first Saturday Sampler on April 6th. Yes, I know I still need to tell you all about that event. Garden tools can be a significant investment, so we should take care of them before we leave the garden for the winter as well. 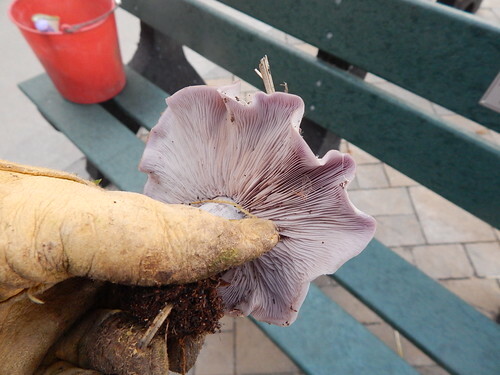 It’s always a good idea to do some garden cleanup and prep for next year in the fall. It makes spring much more enjoyable!